At Hidden Hills Stable I offer quality breeding, foaling and boarding services. Whether you are boarding your horse long term or have a mare in for breeding or foaling, rest assured he/she will receive the best care while at Hidden Hills. Click on the Hidden Hills Stable page for more information on the facility and offerings. 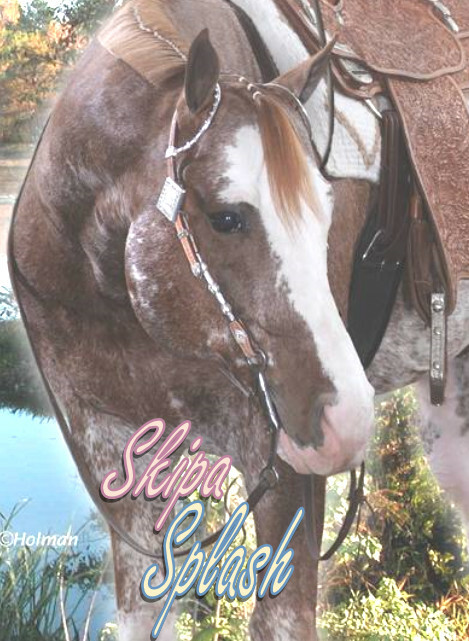 I had the pleasure of owning, promoting and loving APHA/PtHA stallion, SKIPA SPLASH, for almost 12 years. I couldn't have asked for a better first stallion experience. He was always a gentleman and sired some incredible foals over the years. I consistently heard from mare and foal owners, trainers and exhibitors who saw "Coz", whether via video or in person, that "he was born before his time". He had the modern movement that we all look for today and had he been given the opportunity to show under saddle, I know he would have been a star and made a huge mark on the industry! His foals are known not only for their impeccable movement but especially for their great minds, willingness and love for their riders! "Coz" was sadly laid to rest in July 2018. He is missed daily and will never be forgotten! His legacy will continue for years to come through all of his wonderful foals! In June 2015, I decided I was ready to tackle a new stallion project and agreed to purchase the APHA/PtHA/AQHA stallion, IMPULSIFIED. I could not be more pleased with this decision as "Juan" instantly stole my heart and has turned out to be another exceptional boy in the barn! Always a complete gentleman and a total sweetheart! Aside from his chatting with the girls, you would never know this overgrown puppy is a stallion! Both of these stallions have sired and are siring some phenomenal foals! I am honored and truly blessed for this amazing opportunity and dream come true! 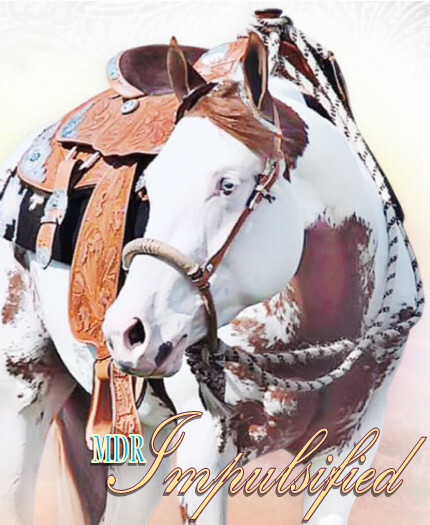 Be sure to check out IMPULSIFIED's page for more information on breeding including stallion engagements, contracts & pricing, and progeny records. And also check out SKIPA SPLASH's page for a highlight of his accomplishments as a sire. In addition to having impeccable stallions, the farm wouldn't be complete without the magnificient mares! While you are here, check out the Mares page for the line up and to see what foals I am expecting. On the For Sale page you will find the listing of current show prospects for western pleasure, hunter under saddle and/or all-around events that are available for your consideration. There is also a link for horses For Sale By Others. Thank you so much for visiting the site! Please do not hesitate to contact me with any questions, comments, or concerns.